Leena Koni Hoffmann is an associate fellow of the Africa Programme at Chatham House and technical adviser to the Permanent Inter-State Committee for Drought Control in the Sahel. She was a Marie Curie research fellow at the Luxembourg Institute of Socio-Economic Research (LISER) in 2013–15. Her research focuses on Nigeria’s politics, corruption, food security and regional trade in West Africa. Raj Navanit Patel is a University of Pennsylvania Penn Social Norms Group (PennSONG) consultant. He is also a PhD candidate in the Department of Philosophy and a member of the Department of Philosophy, Politics, and Economics at the University of Pennsylvania. He worked at the US Department of Homeland Security from 2011–13. His research focuses on normative issues surrounding the provision of public goods. This report analyses the socially integrated opinions, expectations and behaviors regarding corruption in Nigeria, specifically within the systems of law enforcement and healthcare. Discovering these personal and social beliefs regarding bribery, extortion, embezzlement and nepotism, was the main goal of the survey created by Nigeria’s National Bureau of Statistics (NBS) and implemented in seven jurisdictions throughout the country (Adamawa, Benue, Enugu, FCT, Lagos, Rivers, Sokoto). While the words ‘corruption’, ‘bribe’, ‘bribery’ and similar terms were not used in the survey, other implementers made it clear to citizen respondents that the questions concerned illegitimate informal methods of payment. The survey investigated whether if in everyday situations where corrupt activity occurs, people believe that others around them behave in certain ways and expect others to behave similarly. 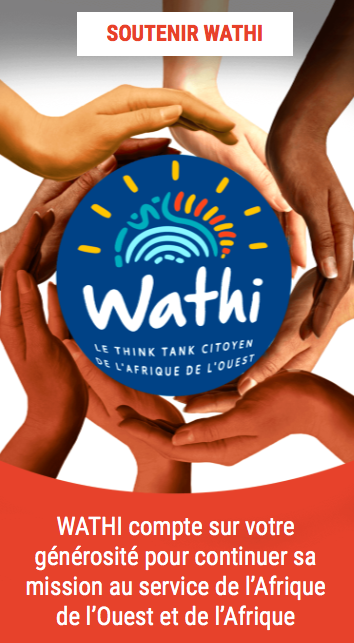 WATHI has focused on this report because it presents in a clear and organized fashion the positive correlation between social norms and the continuation of corruption. While corruption in Nigeria is publicly acknowledged as a rampant and destructive practice with serious consequences for the government as well as its citizens, it remains ever-present and misunderstood. As corruption spreads, basic societal values are broken down and citizens’ sense of moral responsibility is lost. This challenge cannot be regulated by the imposition of anti-corruption laws unless such laws and policies are based on a comprehensive understanding of the societal behaviors, attitudes and norms that allow corruption to persist. Ce rapport met en évidence les opinions, les attentes et les comportements socialement intégrés concernant la corruption au Nigéria, en particulier dans le secteur de la justice et de la santé. La découverte de ces croyances personnelles et sociales en matière de corruption, d’extorsion, de détournement de fonds et de népotisme a fait l’objet d’un sondage initié par le Bureau national des statistiques du Nigéria (NBS) et mis en œuvre dans sept juridictions du pays (Adamawa, Benue, Enugu, FCT, Lagos , Rivers, Sokoto). Même si les termes de «corruption», de «pot-de-vin» et d’autres termes similaires n’ont pas été utilisés dans l’enquête, les enquêteurs ont clairement indiqué aux citoyens interrogés que les questions portaient sur les méthodes de paiement illégitimes. Le sondage examine des situations de la vie quotidienne dans lesquelles des activités de corruption peuvent se produire. L’enquête montre que Les gens pensent que ceux autour d’eux adoptent des comportements allant dans le sens de la corruption et s’attendent à ce que les autres se comportent de manière similaire. WATHI a également choisi ce rapport car il présente de manière claire et organisée la corrélation entre les normes sociales et le phénomène de la corruption. La corruption au Nigéria est publiquement reconnue comme une pratique répandue et destructrice. Elle présente de graves conséquences pour l’État et ses citoyens mais elle demeure un phénomène généralisé et mal appréhendé au sein de la société. Au fur et à mesure que la corruption se propage, les valeurs fondamentales de la société sont dégradées et le sentiment de responsabilité morale des citoyens est remis en cause. Ce défi ne peut être relevé que par la mise en place de lois anticorruption plus efficaces qui se fondent sur une compréhension globale des comportements, des attitudes et des normes sociétales qui permettent la persistance de la corruption. This report works to identify the specific social norms and collective practices in Nigeria that contribute to the continued corruption on both a national and local level throughout the country. Once identified and better understood, targeted and more effective policies may be put in place to change such degrading practices. While the report focuses solely on different forms of corruption in Nigeria, the general findings may be applied to any and all African countries where corruption poses a major threat to the basic political and societal functioning of the country. This is a theory that has the potential to improve anti-corruption laws and policies throughout the region, yet requires each country to recognize the social norms already deeply embedded in their society, those which may not only condone but encourage corrupt practices. • Changing incentives in contexts where corruption is the automatic response or is environmentally driven. • Targeting communities most familiar with the human costs of corruption. • Reframing the approach to anti-corruption messaging. • Highlighting and empowering behavioral tendencies that encourage change. • Using social marketing strategies to overturn the false beliefs that drive corrupt practices. • Integrating behavioural insights into anti-corruption strategies. Ce rapport vise à identifier les normes sociales spécifiques et les pratiques au Nigéria qui contribuent à l’ancrage de la corruption tant au niveau national qu’au niveau local. Il est nécessaire d’identifier et de comprendre ces pratiques néfastes afin de mettre en place des politiques ciblées et plus efficaces afin de corriger ces comportements. Le rapport se concentre uniquement sur les différentes formes de corruption au Nigéria mais les conclusions de l’enquête peuvent être étendues à tous les pays africains où la corruption représente une menace majeure pour le fonctionnement politique et social de l’Etat. Il s’agit d’améliorer les lois et les politiques de lutte contre la corruption dans toute la région. Cela exige que chaque pays identifie les normes sociales profondément ancrées dans sa société qui peuvent non seulement tolérer les pratiques de corruption mais peuvent aussi les encourager. Modifier les incitations dans les contextes où la corruption est une pratique automatique et déterminée par l’environnement. Se concentrer sur les communautés qui sont les plus vulnérables face aux pratiques de corruption. Réformer l’approche dans le discours de la lutte contre la corruption. Mettre en évidence et favoriser les comportements qui encouragent les changements. Utiliser des stratégies de marketing pour rectifier les fausses croyances qui conduisent aux pratiques de corruption. Intégrer les connaissances comportementales dans les stratégies de lutte contre la corruption. That corruption is a destructive and complex practice is openly acknowledged in Nigeria, yet it remains ubiquitous in the functioning of society and economiclife. The consequences of corruption for the country and its people are, moreover, indisputable. Acts of diversion of federal and state revenue, business and investment capital, and foreign aid, as well as the personal incomes of Nigerian citizens, contribute to a hollowing out of the country’s public institutions and the degradation of basic services. All the same, corruption is perhaps the least well understood of the country’s challenges. It has been estimated that close to $400 billion was stolen from Nigeria’s public accounts from 1960 to 1999, and that between 2005 and 2014 some $182 billion was lost through illicit financial flows from the country. This stolen common wealth in effect represents the investment gap in building and equipping modern hospitals to reduce Nigeria’s exceptionally high maternal mortality rates – estimated at two out of every 10 global maternal deaths in 2015; expanding and upgrading an education system that is currently failing millions of children; and procuring vaccinations to prevent regular outbreaks of preventable diseases. In the context of anti-corruption in Nigeria, understanding these underlying social drivers helps to identify which forms of corruption are underpinned by social norms, and which practices are driven by conventions, local customs or circumstances (as shown in figure 1). Identifying the specific social drivers of specific collective practices is critical to designing targeted and effective policy interventions to change those practices. This is because not all collective practices, regardless of how pernicious, are driven by a social norm. A better understanding of how people respond to the different contexts in which corruption takes place, and of the beliefs or incentives that influence their behaviours and actions, can lead to more effective and context-specific strategies for tackling different forms of corruption. Simply put, in order to change behaviour, it is necessary to understand the causes of that behaviour. This is critical especially with regard to designing prevention activities in an environment in which corruption is perceived to be rife and legal measures are complicated. A holistic approach to tackling corruption in Nigeria must consider those societal characteristics that may normalize corrupt behaviour or desensitize people to its impacts. The research underlying this report examines, from a ‘social norms’ perspective, the beliefs and expectations that sustain certain forms of corruption in Nigeria. Social norms are a particular kind of behavioural beliefs, expectations and values shared and endorsed by a particular group or society. This means that people’s behaviours are strongly influenced by what those around them are doing and think should be done. The true costs and consequences of corruption are hidden within the normal interactions of daily life.Tough talk and fear-based messaging cannot substitute for authenticity and exemplary behaviour. Reducing official fine rates would erode the scope for state agents to solicit petty bribes from citizens in return for escaping official penalties. Targeting sectors and communities with information on the human costs of corruption, can help render the drivers of corrupt behaviour socially unacceptable. Messages about the cost of corruption will be more effective if they seem relevant to a specific audience, rather than generic and unfocused. Messages targeted to engage Nigeria’s large youth population will be vital in inculcating a lower tolerance of corruption in the next generation. Leadership on anti-corruption can only be successful if it is by example. Social norms are embedded markers of how people behave as members of a society, and have a strong influence on how they choose to act in different situations. They determine accepted forms of behaviour in a society, and act as indicators of what actions are appropriate and morally sound, or disapproved of and forbidden. Disapproval of a practice, and the social consequences of failing to adhere to one’s community’s expectations – such as gossip, public shaming, or loss of credibility and status – are usually a powerful influence on the choices people make. Equally powerful are the approval, social respectability and esteem attached to behaviour that is evaluated within one’s community as being right or acceptable. This report makes the case that anti-corruption efforts in Nigeria can be designed or adjusted, based on lessons drawn from behavioural studies, to support greater gains in reducing practices such as bribery, extortion, nepotism and embezzlement. It presents new evidence on key social drivers that influence people’s decisions to engage in or avoid corrupt activity, as well as factors that may impede collective action against corruption. Social norms exist in soliciting bribes, but not in giving them. People consider giving an unofficial payment or dealing with extortion in certain contexts (e.g. a nurse asking for a cash payment in a publicly funded hospital) less objectionable than in other contexts (e.g. a law enforcement agent asking for an unofficial payment at a vehicle checkpoint). People think that women are less likely to engage in corruption, and judge them more harshly if they do. A local social contract determines people’s opinions and evaluation of corrupt behaviour related to embezzlement and nepotism. The study reveals that in such interactions in which bribery and extortion can occur, there is no social norm among motorists or other road users of giving bribes to avoid the penalties for traffic violations. However, there is a social norm among law enforcement agents of soliciting bribes to negotiate enforcing or withdrawing penalties for traffic violations. The findings show that Nigerians hold strong negative personal beliefs about being asked for a bribe during a traffic violation check. In circumstances like these where people do tend to give bribes, the survey results indicate that they do so because this is what they observe others doing, but also that respondents overwhelmingly believe that other people think that it is wrong and illegal to give a bribe. Furthermore, most respondents say that few people would think that law enforcement agents should ask for a bribe, but that people would offer bribes because they think others in similar situations will do the same. Within the law enforcement community, the research for this report shows that as regards bribery-and extortion-rich interactions, there are both ‘upward’ (junior to senior officers) and ‘downward’ (senior to junior officers) pressures to engage in corruption. Senior law enforcement officers expect lower-ranking officers to solicit bribes from the public- and believe they do so. Lower-ranking officers believe and expect that senior officers are also engaged in corrupt activity, but on a larger scale involving public funds allocated for the running of the agencies. The language used to describe behaviour or people engaging in particular practices provide very useful insights as to societal values and how these are enforced. Moralistic and value-laden terms such as ‘wicked’, ‘mean-spirited’ or ‘evil’ that are used to ‘judge’ corruption norm violators, as well as language suggesting that individuals are expected to ‘carry others along’ by engaging in a particular practice, tend to be powerful sanctions that are used to perpetuate a culture of corruption in many sectors and contexts in Nigeria. The risk of a loss of status, position, access or trust within a person’s reference network is a powerful incentive for most to comply with the expectations of the majority within their network. Belonging to a network, and gaining the trust of those inside that network, typically requires an adaption to the environment of the network. Thus, if corrupt exchanges are expected and the norm, then there are social pressures to conform, and consequences for non-conformity. The presence of a social norm of soliciting for bribes in the law enforcement community in Nigeria suggests that agents of the state ask for bribes because they think that their colleagues do, and that they are also expected to do so. Such beliefs and expectations create an environment that sustains corrupt behaviour. This type of group dynamic plays a decisive role in the degree of tolerance of corruption within law enforcement institutions in Nigeria, and in the lack or ineffectiveness of the public’s poor perception of law enforcement in Nigeria as a deterrent to corruption. Over time, constant exposure to a culture of bribery or extortion can lead to the normalization and entrenchment of a tolerant environment in which such practices flourish. The formal and legal ways of doing things remain in place, but this is paralleled and possibly overwhelmed by an informal, normalized system of corrupt practices. 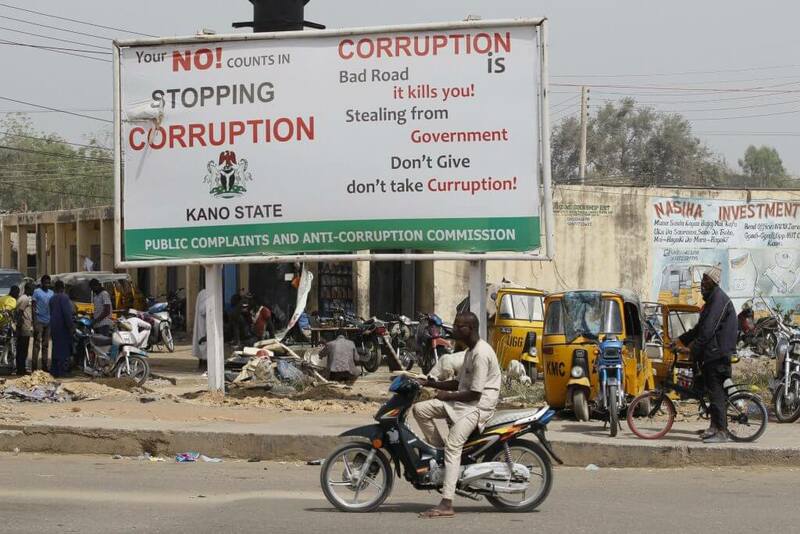 One interviewee in Sokoto, for instance, noted: ‘People only see grand corruption as the “real” corruption. Petty corruption is not really corruption.’ However, the cumulative effect of petty corruption is harmful, and has been particularly corrosive to Nigerian society. First, widespread and seemingly innocuous acts of corruption disproportionately target the poor, and help keep them poor. Second, petty corruption diverts resources away from legitimate and beneficial activities to illegitimate and unproductive ones. Third, it tends to be linked to, or indicative of, more substantial forms of corruption, as senior officials or employees allow petty corruption by junior ones to continue so that collusion in systemic corruption is assured. Fourth, and perhaps most important, the aggregate effects of widespread petty corruption serve to undermine the legitimacy of government institutions in general, and their capacity to fairly administer public goods and services as well as protection under the law. The fact that more people are likely to be more directly affected by petty corruption in their day-to-day activities – for example, time spent detained at a road safety corps unit command – than by grand corruption exacerbates these four negative effects. Under Nigeria’s policy on the basic standard of primary healthcare at the ward level (specifically from the level of primary health clinics), publicly funded facilities are to have a minimum number of inpatient ward beds. In principle, citizens needing these beds while receiving medical treatment should not be asked to pay for admission, but the norm and practice deviate sharply from this policy. Many government-run hospitals in Nigeria are severely underfunded and poorly equipped. Years of deficits in public funding for healthcare, coupled with massive embezzlement and financial mismanagement, have led to an availability and quality crisis in the sector that has fostered a culture of routine demands for bribes by health workers and experiences of extortion in public healthcare settings in order to keep services going and regulate their distribution. It is not uncommon for priority of care to be given to those who can make an informal payment, rather than on the basis of how critical and serious the medical emergency is. Respondents’ beliefs around informal monetary demands and extorting behaviour on the part of government health workers are also quite different from those held concerning law enforcement officials. While most people surveyed know that it is illegal for an employee to charge or extort money for a hospital bed space that should be free, most think that the employees should ask for payment, and few think it is wrong for them to do so. In some states, people considered that other people would think it is wrong for a health worker to ask for a payment for admission to a government hospital, even though most respondents thought that these employees should ask for a payment. Here again, people are mistaken about the expectations of others. This contrasts with respondents’ beliefs around illegitimate and extorting charges by law enforcement officers in the context of checks for traffic violations. Where most respondents think that the government health workers should ask for payment, and few think it is wrong for them to do so, most respondents did not think that a law enforcement official should demand a bribe or extort money, and many think it is wrong for them to do so. Not only is the embezzlement of public funds widely acknowledged as a crucial factor affecting the capacity of the Nigerian state at all levels to manage resources and deliver public goods and services, but very strong gender biases are evident in expectations and judgments surrounding embezzlement. The gender of a government official or employee who takes government funds for personal use tends to be an important factor in people’s beliefs and expectations about the corrupt behaviour. The general trend from the survey indicates that most Nigerians think that women are less likely than men to engage in corruption. Almost six out of 10 people (59 per cent of respondents) thought it was extremely unlikely for a female government official to take public funds for personal use, as against four out of 10 (41.1 per cent) for male officials. These kinds of judgments reflect a gender bias that is rooted in Nigeria’s broader patriarchal values – i.e. when men are corrupt, this is because they may need to be and/or they are wired to be corrupt; when women are corrupt, this is because of an uncharacteristic greed. A justificatory rationale is given for men’s corrupt behaviour, whereas corruption by a woman is viewed as a behaviour that goes against a pure and righteous nature. Many such social beliefs in Nigeria towards corruption are rooted in religious and moral values, as evidenced by people’s perception of women and corruption. More broadly, cultural and social values, concepts of wealth and power, morality and gender roles are all intertwined, and they all strongly influence popular expectations of women in public and private domains, and their access and integration into corrupt networks. Corruption tends to be rife in societies characterized by local social contracts and a lack of a universal (or national) social contract. In societies in which only local social contracts operate, trust and resources are allocated according to social (i.e. personal) relationships and patronage, rather than according to neutral and fair rules. In this environment, people’s expectations of the behaviour of people with access to government resources is that they would and should use these for the benefit of those with a personal or social link to them, thus creating a local social contract. A society governed by local social contracts makes it difficult to use the legal system to combat corruption. Citizens are less likely to perceive laws as legitimate and thus less likely to abide by them. Laws might work effectively in shifting social norms if the legal system is perceived as fair and the enforcers of laws are seen as honest. But when laws or the legal system are not seen as fair, laws can be ineffective. When laws and the general procedural aspects of governance that produce them are not considered to be fair and neutral, anti- corruption campaigns are ineffective legal interventions because they are seen as overtly political or unfairly targeting certain groups – for example, critics of the government, political opponents or people with no connections to the powerful in society. Options for the settlement of fines should include well-developed and user- friendly online and mobile platforms, and individuals should be able to lodge complaints about disputed penalties as well as to report instances of soliciting for bribes and extorting behaviour without fear of reprisal. Procedural changes should be complemented by interventions designed to encourage social norms that foster integrity and honesty within law enforcement agencies. There must be clear and enforceable negative sanctions for corrupt behaviour, and equally clear and meaningful positive sanctions and rewards for not engaging in corruption. Anti-corruption campaign messages can be reframed to resonate in affected communities, contexts or sectors, using pertinent and positive norms, values and expectations. Targeting young people may help to instill a low tolerance of corruption in the next generation. As behavioural drivers influence people’s choices and preferences around corruption, Nigeria’s anti-corruption agencies should systematically integrate these methods into the long-term approach to their mandates. A discrete unit, operating across the various agencies, could be established to review and hone anti-corruption messaging, and to advise how behavioural lessons might best be applied to public policy against corruption. This inter-agency unit should receive training and guidance in behavioural methods for systematically evaluating interventions through randomized controlled trials to test what works best across the country. The unit’s approach should be holistic, integrating empirical findings about people’s behaviours surrounding corruption across all stages – from diagnostics to design and eventual implementation and evaluation – of policymaking, rather than a separate approach that produces ‘behavioural policies’ as add-ons. Nigeria’s entire system of anti-corruption laws and policies can operate more effectively if these are more deliberately premised on influencing collective behaviour in a desired direction. Simply put, a careful understanding of the factors that drive relevant behaviours should be a critical component of government actions to reduce corruption. In fact, all aspects of government policymaking aimed at countering corruption would benefit from the application of rigorous, observed evidence of how citizens will react to measures in practice, in order to maximize effectiveness while minimizing costs. The potential outcomes should serve as an impetus to the Nigerian government to explore and build up its knowledge base and capacity concerning behaviour- and social norms-based interventions and solutions, drawing on successful – as well as less successful – case studies to inform policymaking for tackling corruption.